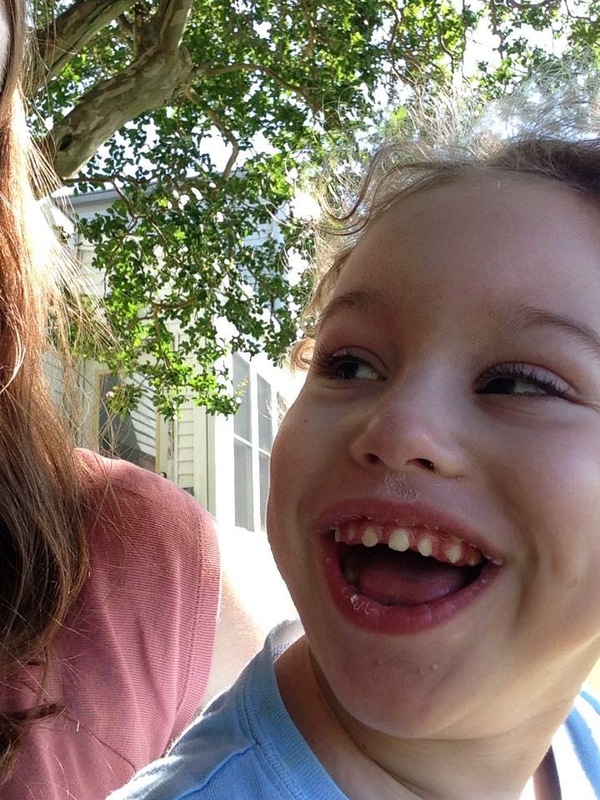 The Ben Smiles Memorial Foundation was established by Rob & Elizabeth Gerlach in hopes of creating happiness and smiles for children with special needs, making important toys and tools accessible. It’s important that all children have access to their environment. Many kids with fine & gross motor development, cognitive or sensory issues have a difficult time playing, moving, communicating, eating, talking, learning … doing the basic things that a child should be able to do. Special equipment, adapted toys, other tools are out there but they are expensive, hard to find, and many times, not covered by insurance or come with large copays. Our hope is that we can promote smiles within this group of special kids and their families by providing switch-adapted toys, switches, communication tools, learning devices and positioning equipment. Ben smiled…and we hope that our gifts will create more smiles from these special families. Benjamin Robert Gerlach was a triplet born on June 30, 2012 very early at only 25 weeks. He and his brother Colin and sister Ava spent 4-5 months in the NICU at Lurie Children’s Hospital in Chicago, IL. 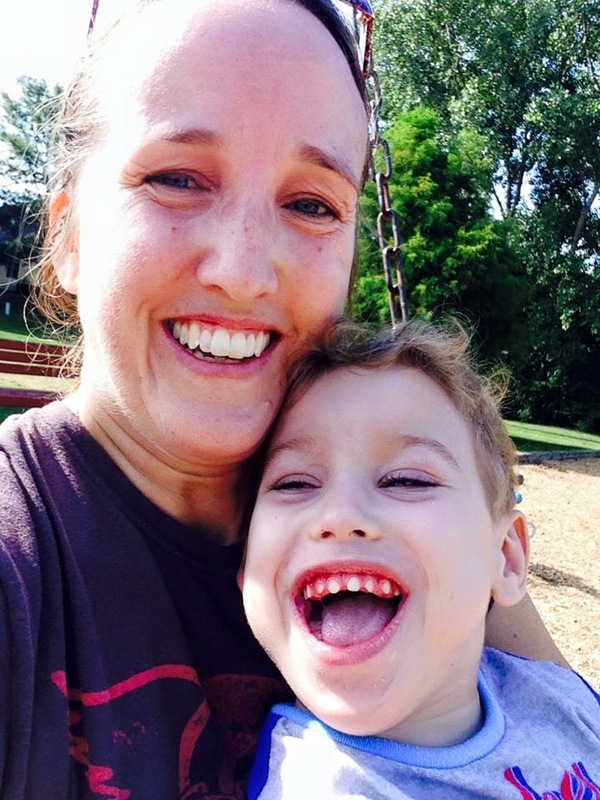 Ben had an extremely difficult time in his first few weeks of life due to his prematurity. Going through the NICU rollercoaster, we didn’t know what the future would hold for him. We were just so happy and felt so blessed when he finally left the hospital and came home on Saturday November 24, 2012. 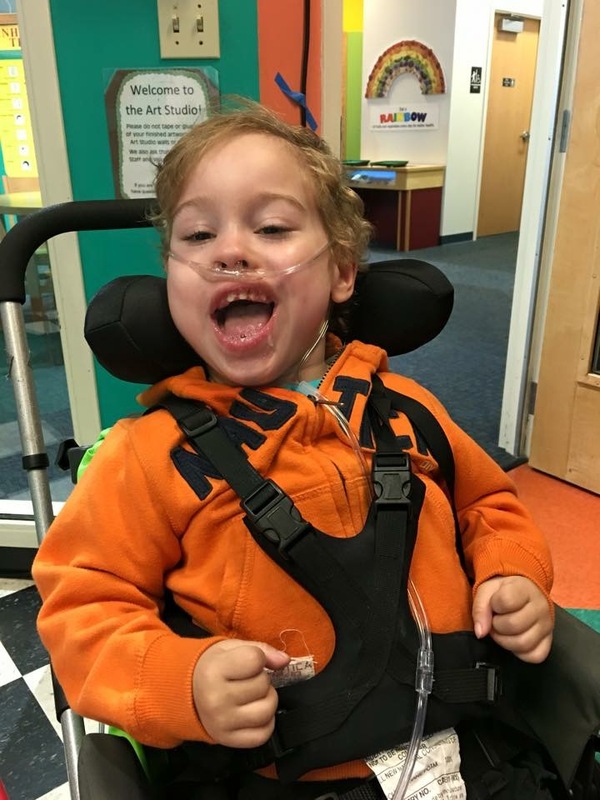 After just four short years with us, Ben passed away of respiratory failure on May 2, 2016 at Lurie Children’s Hospital after multiple respiratory viruses over the previous two years. In his brief life, he faced many challenges. We just knew that he was going to struggle with motor development specifically and probably many other things due to his primary condition of cystic encephalomalacia. 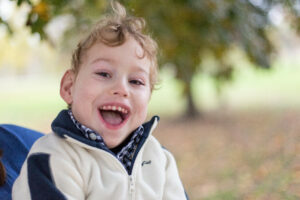 He was officially diagnosed with quadriplegic cerebral palsy at 10 months old. He also had a feeding tube (g-tube), visual impairment, regular seizures/epilepsy, was nonverbal and developed chronic respiratory illnesses. Despite all of this, he thrived. He was happy. He was always surrounded with love and compassion by angels (disguised as teachers, doctors, nurses, therapists, friends and family) that came into his life and participated in this journey with him. To keep Ben’s name and memory alive, we wanted to give back to those ‘angels’ and organizations that helped us along the way. 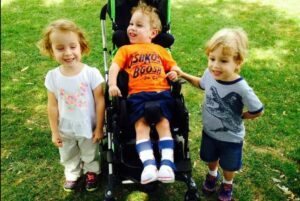 Easter Seals of Fox River Valley – Benjamin was blessed with numerous therapists who loved him, pushed him and were invested in his outcome. We are going to support ES special families with switch toys, smaller adaptive equipment and communication devices. St Charles D303 Early Childhood program – When Ben entered preschool he was given the opportunity to participate in a typical classroom with typically-developed kids. This was such an invaluable opportunity for him socially and academically…but it’s not easy to adapt classroom and learning tools for kids that need significant support. We are going to provide learning tools and positioning equipment to be used for kids like Ben so they have the same opportunities that he did. First Baptist Church Geneva Masterpiece Ministries – we first attended FBCG at Buddy Break, which is a monthly respite event designed to give parents of special kids a ‘break’ for three hours. We then learned about their Masterpiece programs geared to mothers/families/special kids. They catered to Ben and customized their care and program to his needs. It is truly a special place to be and worship, and they also provided tremendous support when he died, and still do. Others: Lurie Children’s Hospital, Central Dupage Hospital PICU, Ronald McDonald House/Chicago, Marianjoy Rehabilitation Hospital.